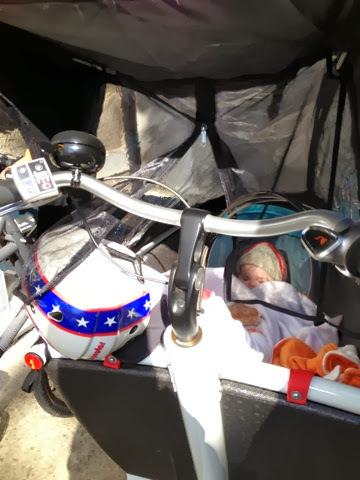 What to do after a baby out grows the maxi cosi? That is what has been on our mind. As J is rapidly approaching that point. A bit quicker then we expected! 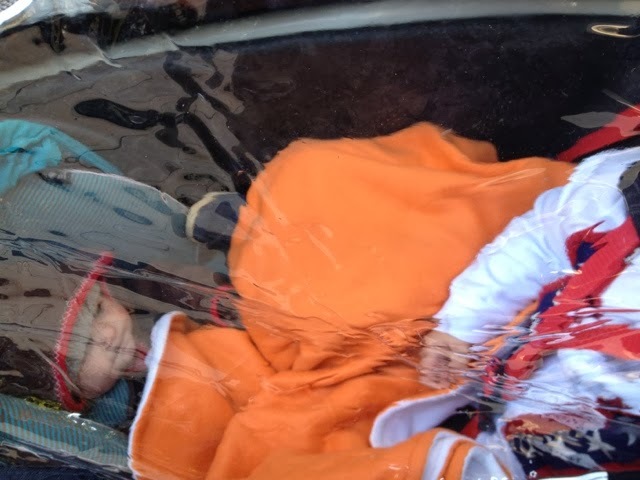 She is still just 6 months old though and not ready for the bench. 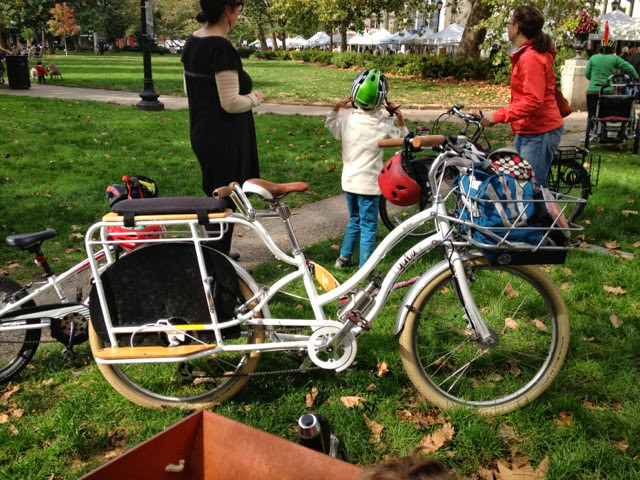 Workcycles mounts Bobike minis on the wood bench to help support little ones who aren't ready to do on their own. 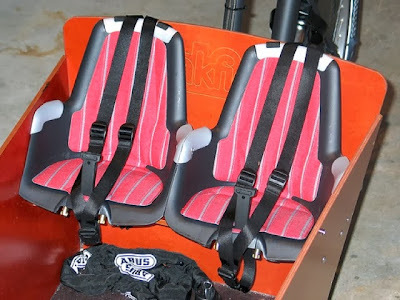 We can't however drill into our seat or box to mount. 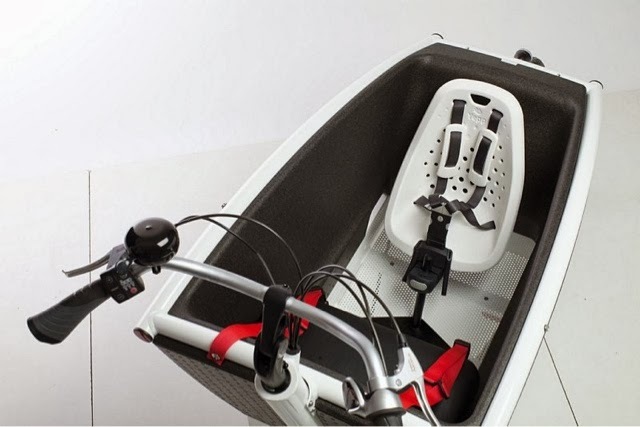 Busy Bikes created (two) mount(s) specifically to put a Yepp mini rear facing in the Urban Arrow box. This is great as we already own the mini. Just not sure if the cost and time to get the mount here is worth it. How long will we use it? 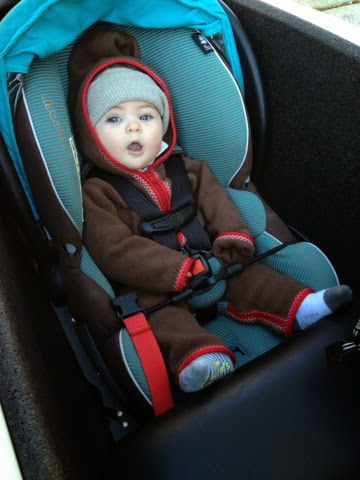 We paid $100 for the Stecco carseat holder that sadly would only get 4 months use if we discontinued using it now. I do love how much leg room M would get though. 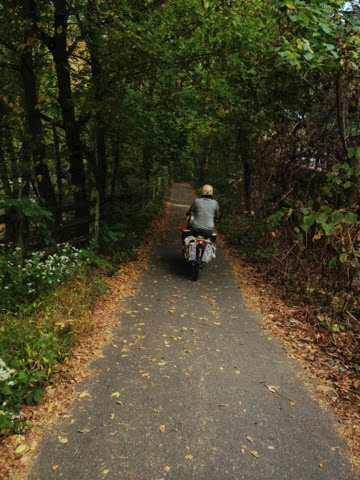 Wildcard ideas. 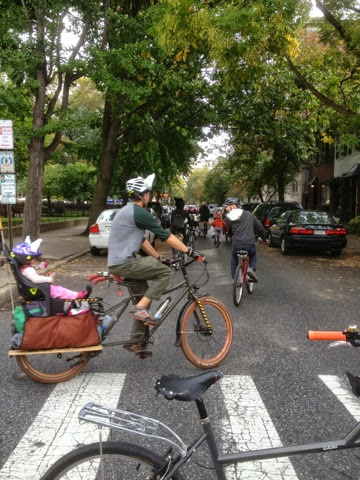 While googling I saw someone mounted a Phil & Teds double stroller seat in the Urban Arrow bike. We have that. 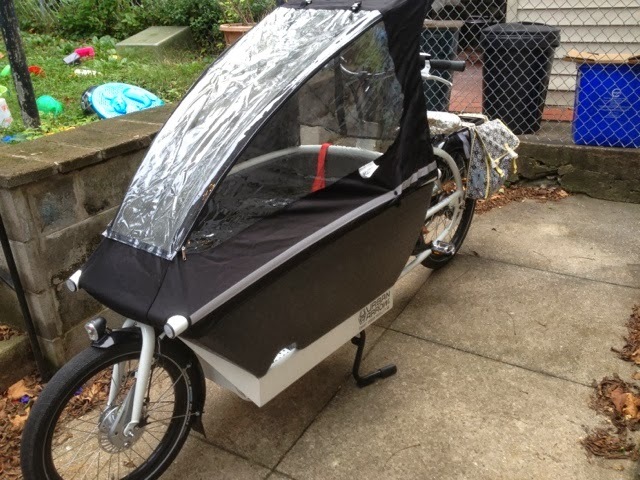 We also have a Phil & Teds SMART stroller. 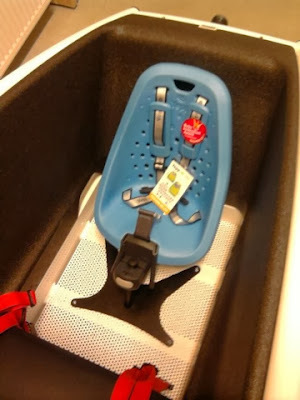 The seat is made of the same material as the Yepp or crocs so great outside use. Bonus looks like it mounts into the Stecco baby holder. 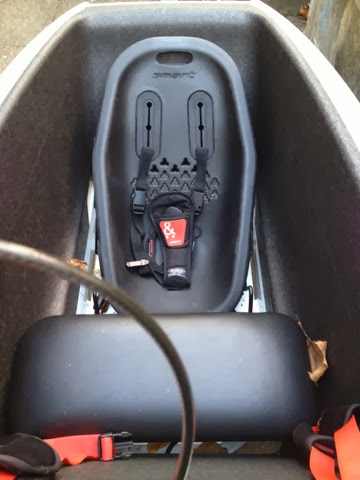 I feel like our SMART seat also matches well. 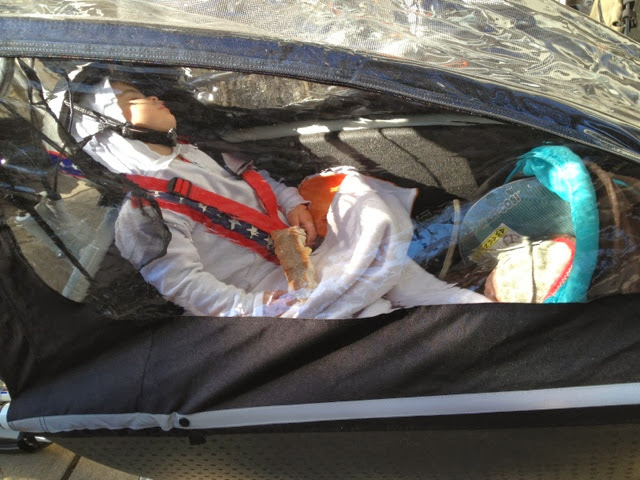 Bonus: using either the Yepp or SMART seat we could put the stroller bunting/sleeping bag in to keep J extra warm. So that's what we are working on at the moment. 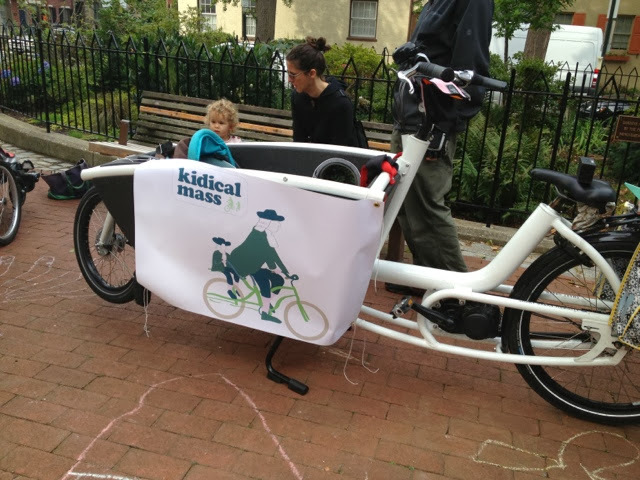 Another successful ride for Kidical Mass Philly took place this past Saturday. 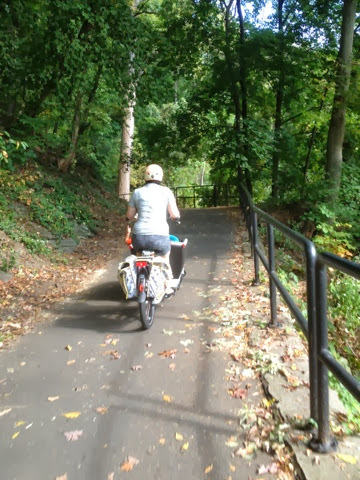 The ride went from Fitler Square to Rittenhouse Square by way of a 3.5 mile route through Center City. 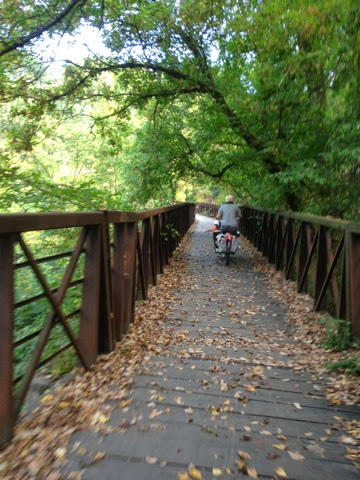 The weather was mild and lovely for October. 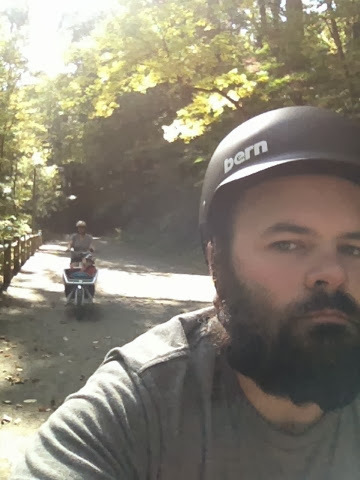 Some pictures from the ride. 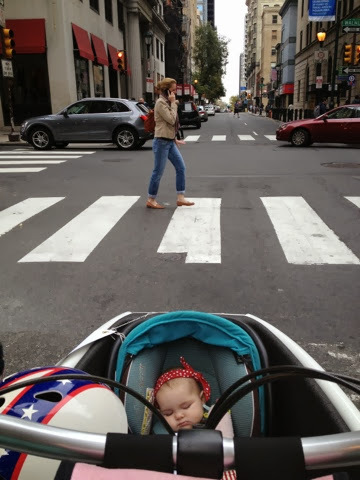 Little lady sweetly asleep in the middle of Center City. 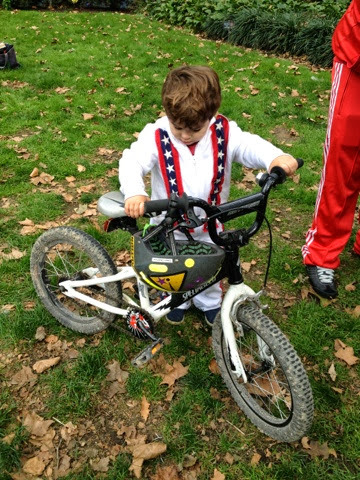 Big guy was smitten over a big kid pedal bike. 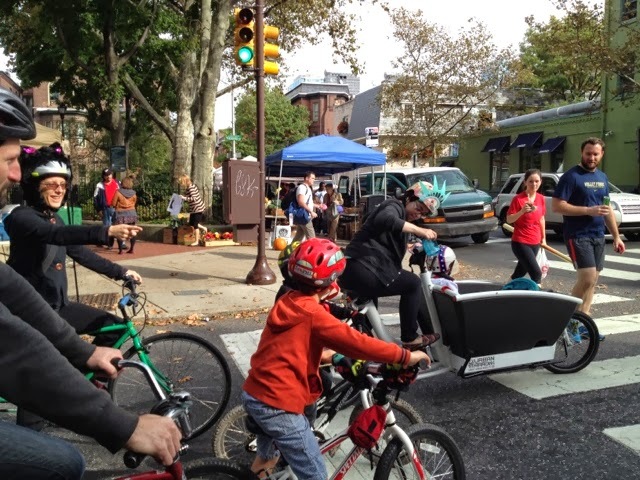 There were some great step ups for families. 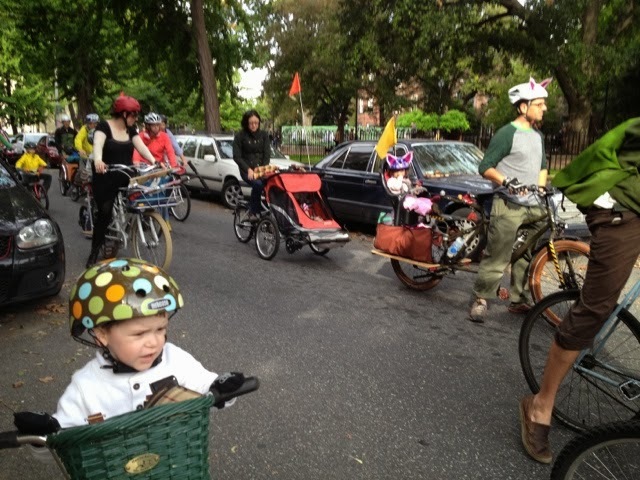 We had a boda boda and a teen present as well. 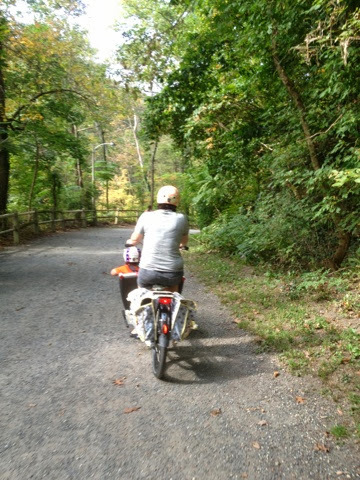 Two bikes that weren't even on the market when we bought our Halsted. 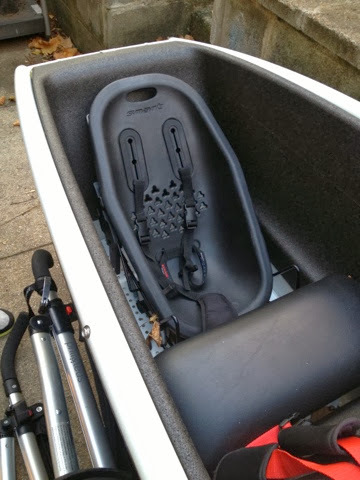 I was smitten with the booster/highchair installed to keep a three year old belted in. 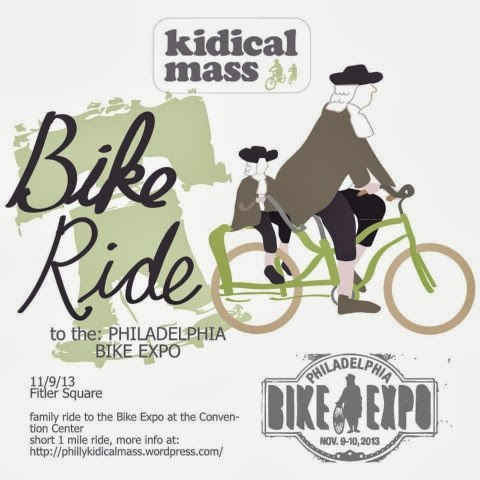 Finally, our next ride is 11.9 to the Philly Bike Expo! 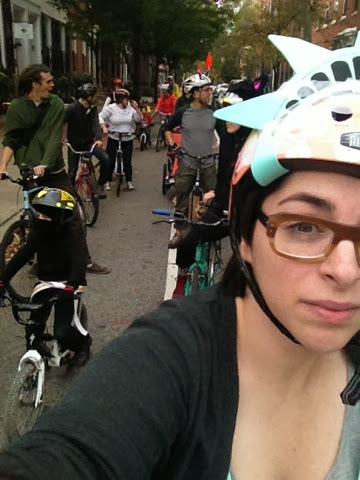 This ride will take place an hour later then usual meet-up at 11:30 and be only a 1 mile route. 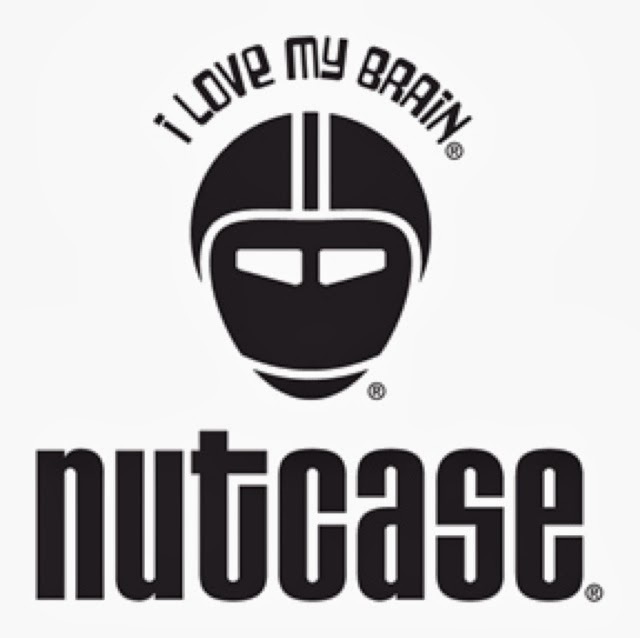 Additionally the folks over at Nutcase Helmet will be stopping by: "Nutcase Helmets will be joining our ride on 11/9 to the Philly Bike Expo! 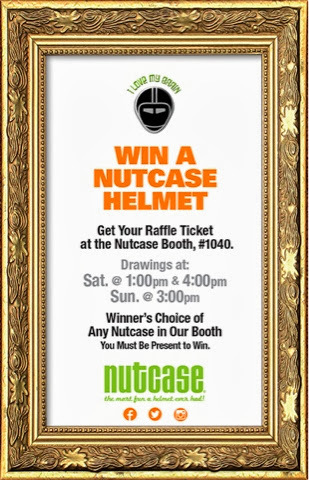 Additionally Nutcase will be doing three drawings for giveaways at their booth." 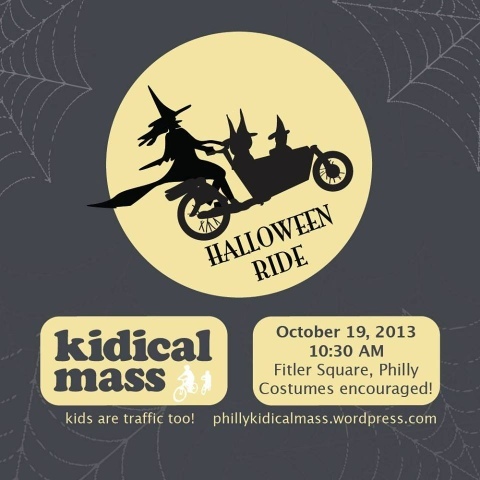 Fall is here in Philadelphia even with our weather leaning towards the warmer and rainier side lately the leaves are changing and Halloween (PS Kidical Mass PHL Halloween Ride is this Saturday 10/19) is almost upon us. 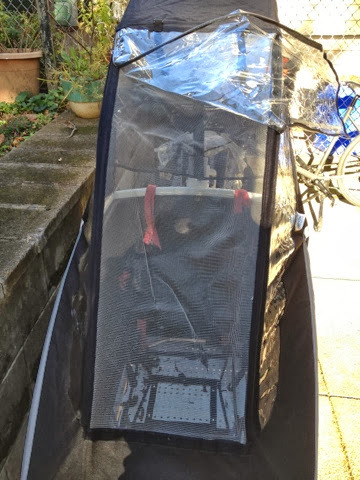 Last week I decided we should probably just buy the rain canopy for the Arrow so I would not be taken by surprise when it dropped to freezing temperatures before my eyes. 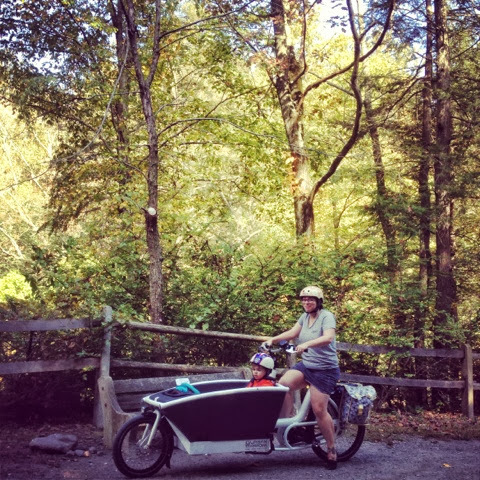 We had opted to save a few dollars and not buy it when we bought the bike originally. Like most of the UA's features there isn't much online about it besides pricing ($299 from RollingOrange) but I wanted to share some of the details I was really pleased with. First the price is about equal to all other ones I have seen on the market guys over at Blaq start at $300 and even the Babboe is priced equally. 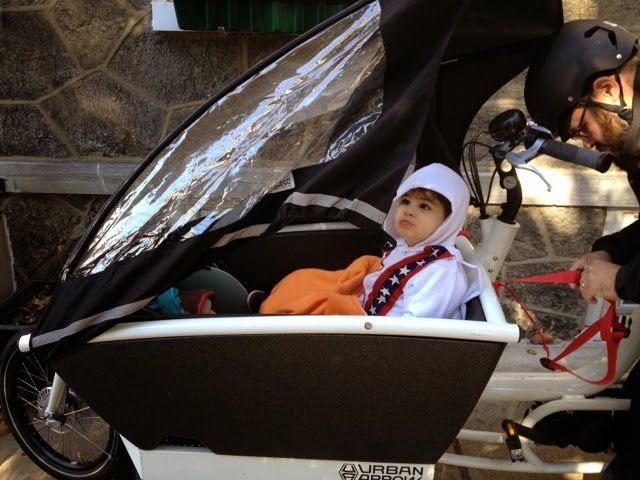 I am no way talented to make my own like Marni from Rebourne Clothing who is making one for her e-bakfiets.nl. 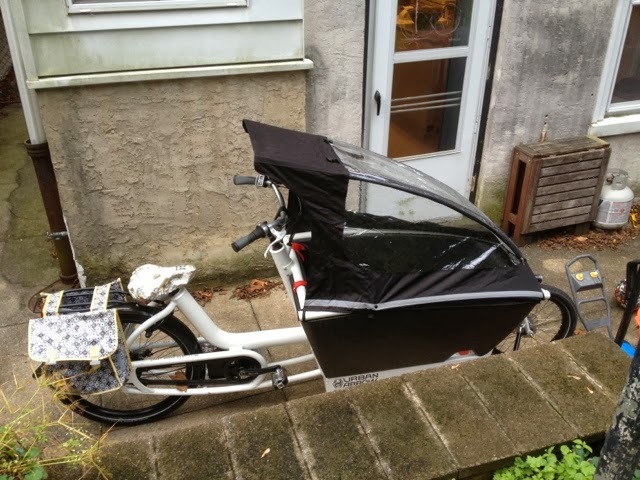 The cover is very easy to take off and on. 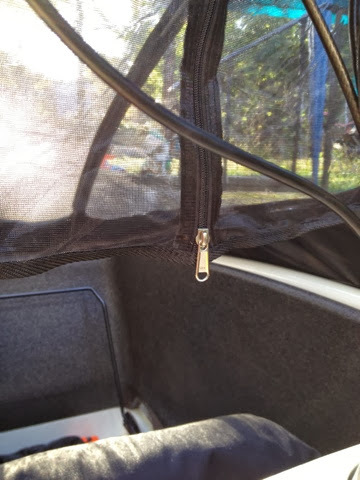 The structure is all in the canopy so no extra hardware or poles to deal with. 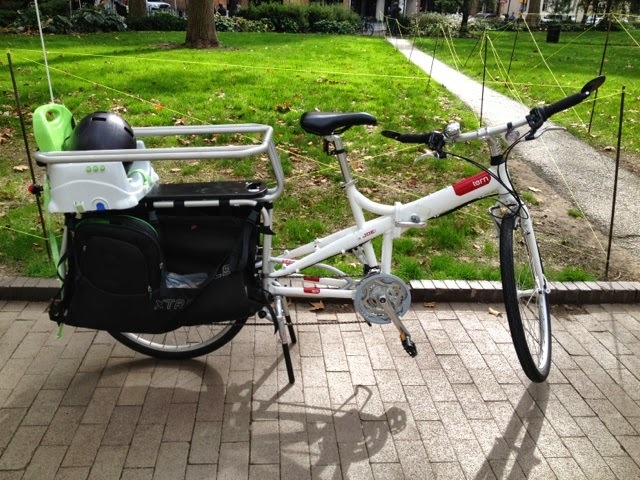 The shape is "aero dynamic" looking and the back swoops over the handlebars. 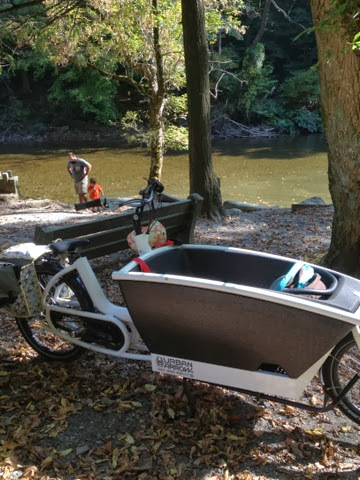 Providing the rider some coverage. 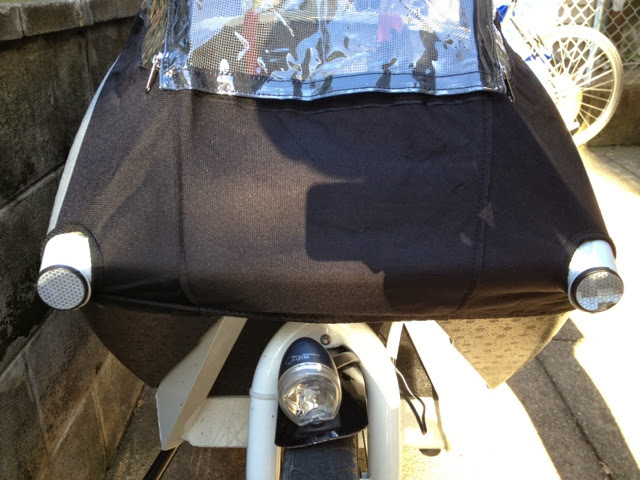 The side has a reflective strip. 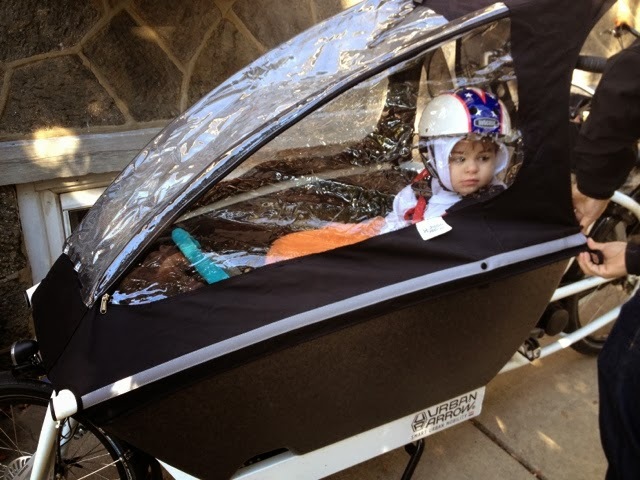 Which is great for dark winter riding. 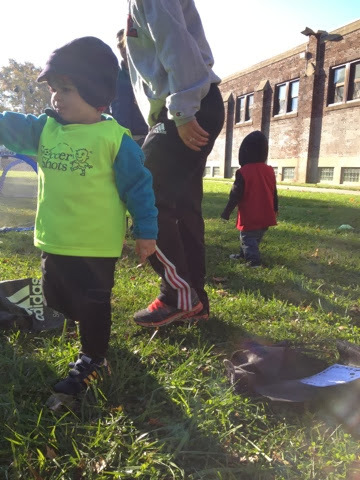 The canopy has plenty of height at bench for taller children. 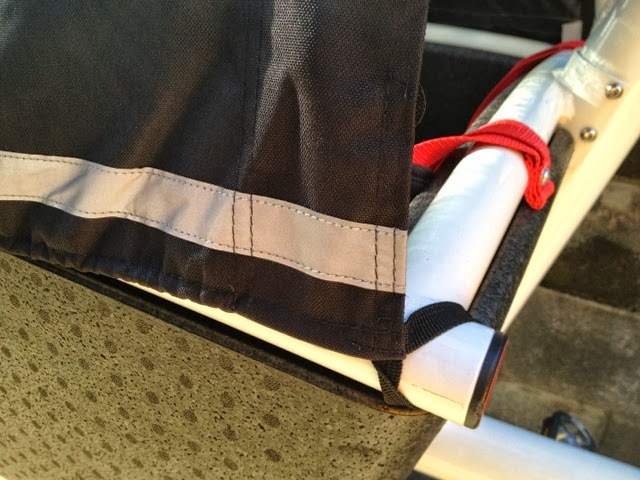 The back also has a small mesh panel that can be zippered open or shut. Great to keep bugs out in Spring rains. Speaking of mesh. 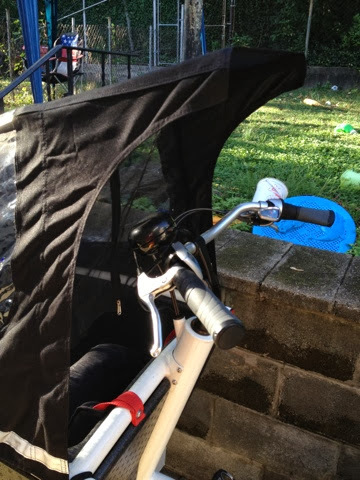 The front plastic panel can also roll up and clip to the top exposing a mesh panel to keep out bugs and keep the structure of the canopy while providing air. I have read a bunch that these can get very warm so what a great feature to provide some air. Finally a detail shot of the fit on the front reflectors. 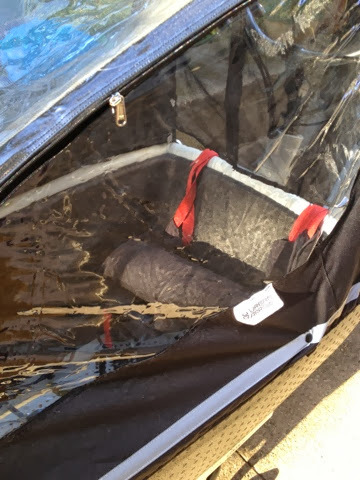 The canopy when not in use rolls nicely into a small bag. Overall a very thought out canopy. Kudos to the guys over at UA for it.